I just posted up a couple posts below. The VLTC post. The shorts post to. 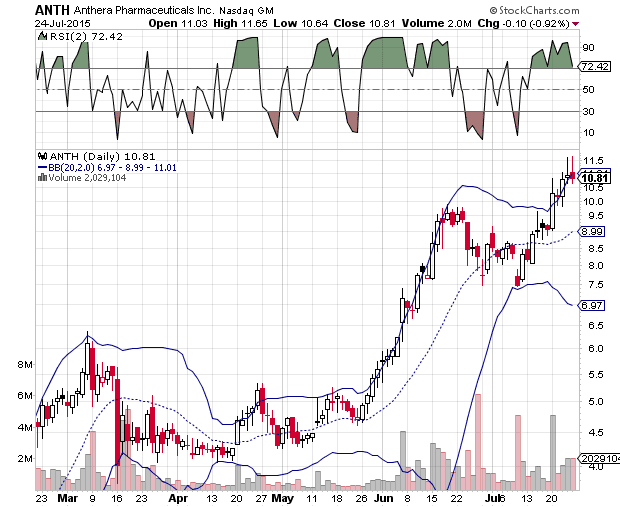 I put up some indicators on ANTH and it is closing around the upper Bollinger band. With a shooting star to boot this is a great short setup on a break of Fridays low. I looked at RSI 2 as well and it is oversold. I am a bigger fan of Bollinger bands to detect overbought as is the case here. Click on the pic.